There are just so many things to do in life. Work, family, social activities, creative pursuits, sports, volunteering, activism, and hey, sleep (very important, but I get so little of it)! Cooking is wonderful therapy. It's such a luxury to prepare and plate a beautiful dish. Some days you will be proud to spend the morning marketing for choice ingredients, pounding rempah from scratch, and slaving over a stove til the evening for a prize meal. But sometimes, you just want something fast, easy but tasty. And for that - one-dish meals are best. I love a cheesy baked dish - potatoes, rice, pasta. Carb is comfort. But it's all the oozy melty cheese that does it for me. 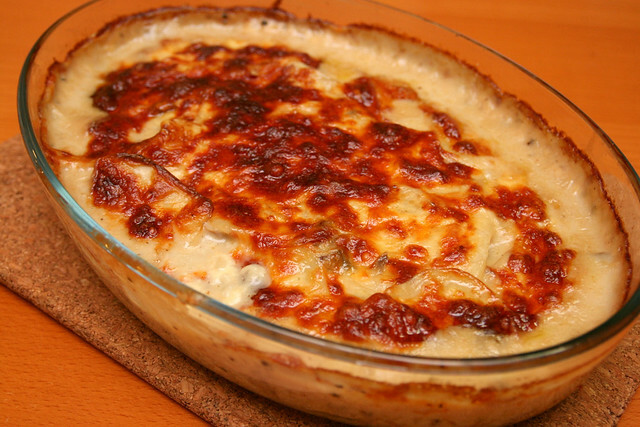 This is a simple gratin dish you can whip up anytime. It's so easy you can get kids to help you with the layering steps. Here are step-by-step photos, followed by full recipe at the end. Perfect Italiano gave me their Mozzarella and Parmesan to use for this dish. 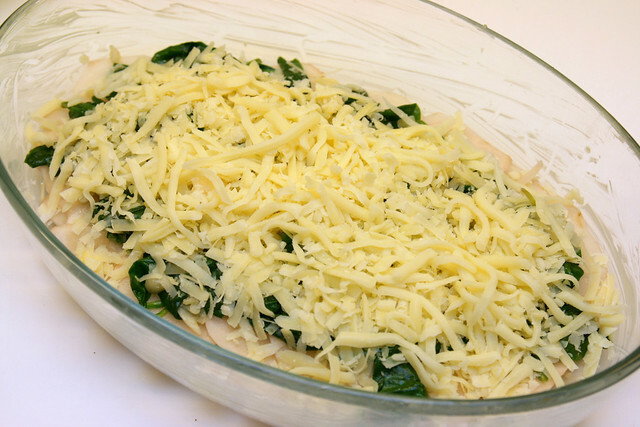 The pre-grated mozzarella is convenient for when you want to use lots of cheese (and when you don't want another item, the grater, to wash later). And it melts so nicely without being too oily. Preheat oven to 220 deg C. Sauté minced garlic in a bit of butter. 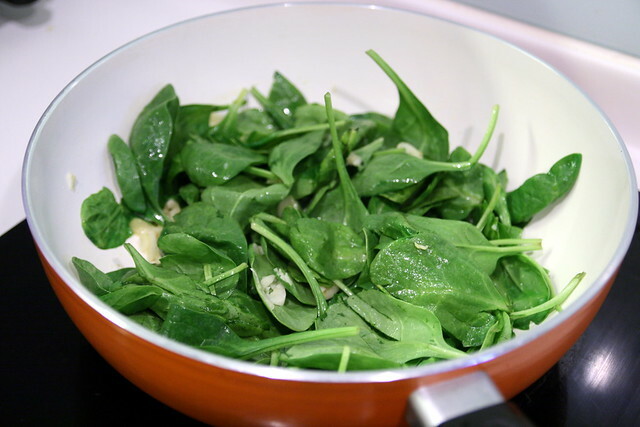 Add spinach and stir-fry until leaves are just wilted. 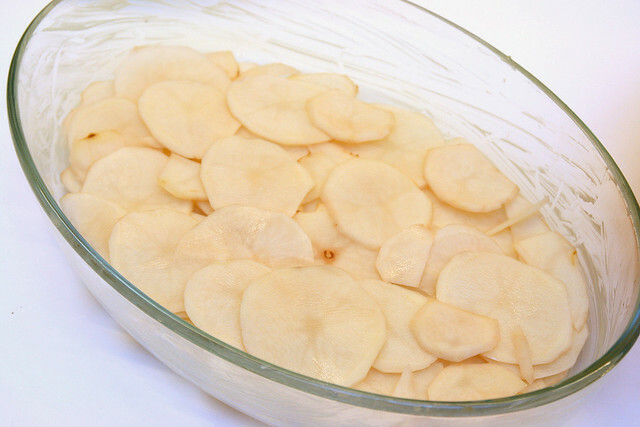 Grease a baking dish with butter and put a layer of potato slices on it (about half the potatoes). 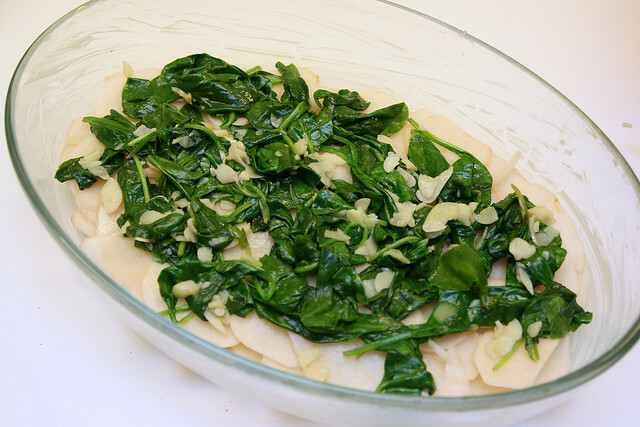 Spread the garlicky spinach on the potatoes. Enjoy the aroma. 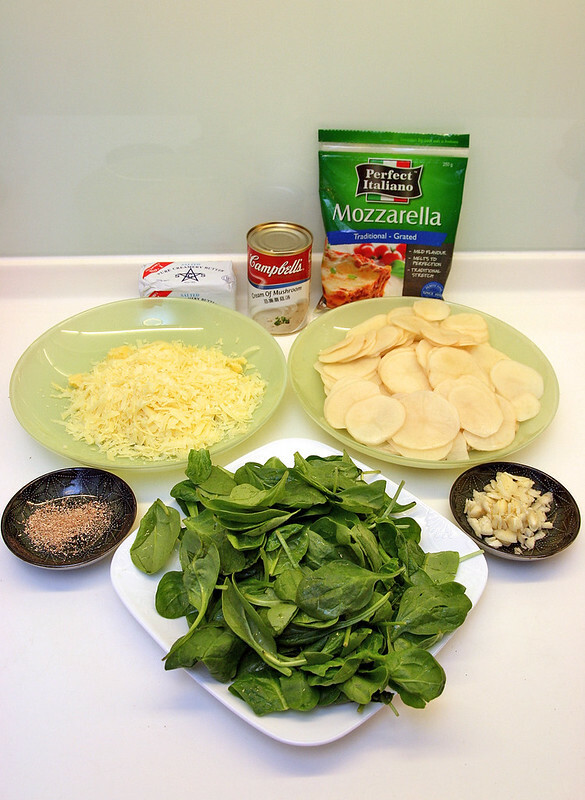 Top it with Perfect Italiano Mozzarella and Parmesan cheeses. 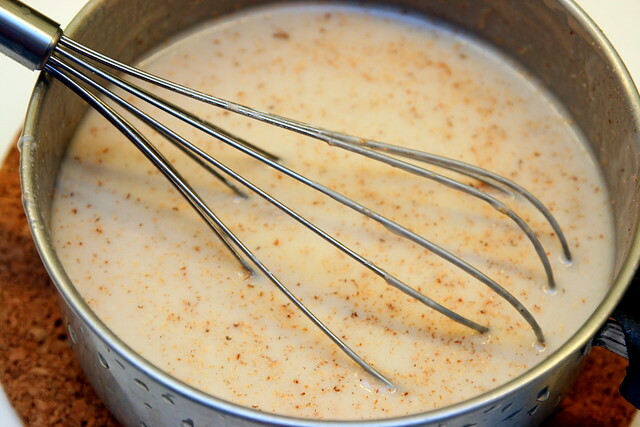 Add nutmeg and pepper to the cream of mushroom soup that's diluted with water or milk. I secretly like cream of mushroom, even if it's from a can (but strangely not cream of chicken, even if made from scratch). 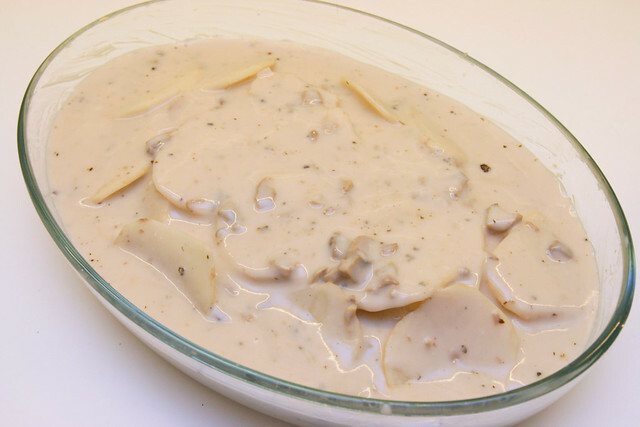 You can substitute the cream of mushroom with an equal amount of cream and milk. Lay the rest of the potatoes on top of the dish. Pour the soup mixture all over the layers. Out of curiosity, I tried the whole can, but this is clearly too much. 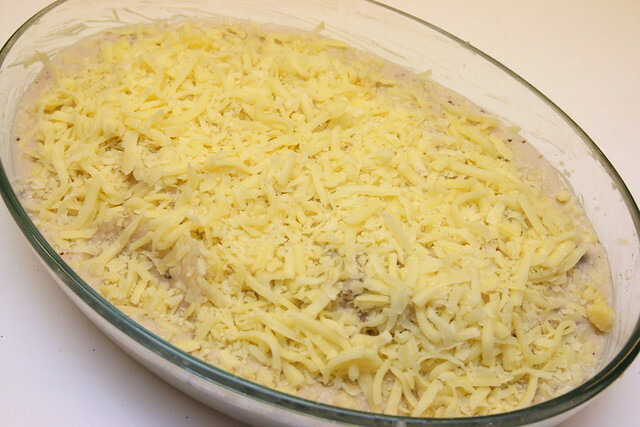 It did make a nicely moist gratin, so feel free to adjust the liquid portion to your own liking. Top off with more cheese! Yes, both, especially the grated Mozzarella! Bake in oven for about half an hour, or until the top is browned. You'll see it bubbling at the bottom. Let it rest for 10-15 minutes before serving. 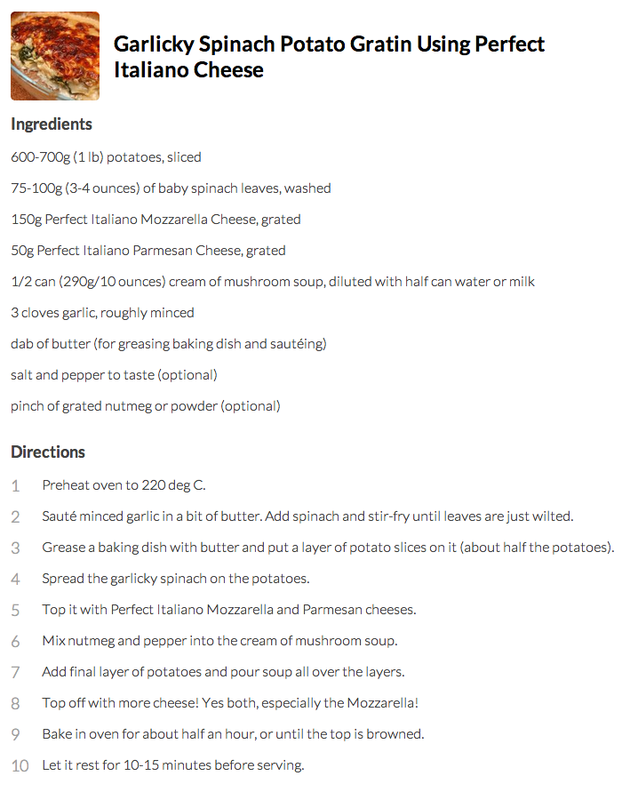 Here's the full recipe (click to see full-size image, and to save offline or print). Feel free to improvise with your own favourite ingredients. Check out my other recipe: the Easy Cheesy Chipotle Chicken Quesadillas! You can go to Perfect Italiano for more recipes. Check out their other products too, like Perfect Bakes, and Pizza Plus!